You know that ill-fitting dentures make it very difficult to eat and, if the fit is poor enough, can cause mouth sores and discomfort. But what you may not know is why a denture that fit yesterday doesn't today. There are several reasons why the fit of your denture may change. New Dentures If you just got your denture or plate after having teeth removed, you may need trips to the dentist to have your new denture adjusted. Your gums swell after teeth are removed and the shape of your jaw will shift rapidly as you heal. Be patient and make sure you keep all of your scheduled appointments. In a few weeks you will heal completely and your dentures will fit comfortably without the need for constant adjustments. Give your body time to heal and get used to the sensation of wearing a denture. Mouth Changes As you have aged, you've probably noticed several changes in your body. Though it may not be obvious, your mouth is changing too. Your jawbones deteriorate slowly over time, changing the shape of your jaws. Swelling due to gum disease also alters the shape of the jaws and gums. Like a photograph, the mold used to make your dentures captured your mouth the way it was at one moment in time. 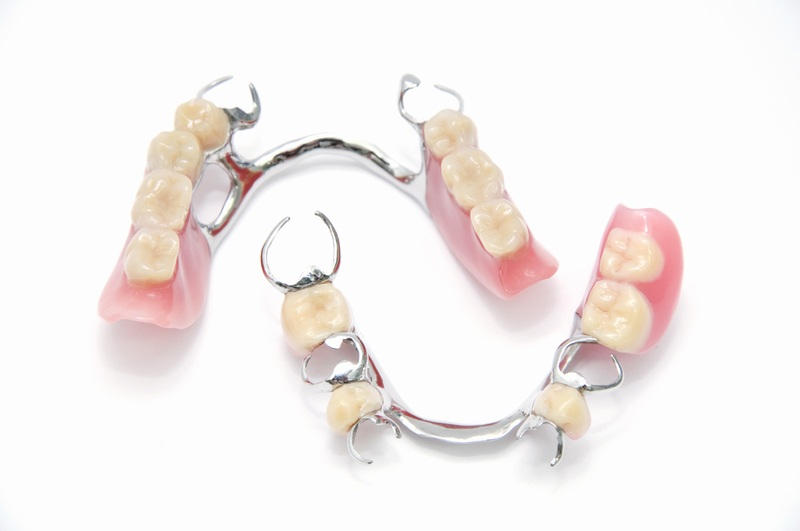 Unfortunately, your dentures cannot change shape with you and the fit gradually declines as your body changes. There was a time that when you wanted to have a dental procedure to fix crooked, misaligned or uneven teeth, the only available choice was metal braces. This was fine, actually, because it did deliver results – but it also came with disadvantages. Today, we now see advances in present aesthetic dentistry, which provide us with modern (and better) alternatives to braces. Let’s take a look at them. Traditional Metal Braces. Even traditional braces have improved over the years. Most of them are now smaller and less noticeable when compared to braces from the previous decades.